Microsimulation models are a tool for informing health policy decisions. Models provide a structure for combining a wide range of evidence that represents the current understanding of both disease and interventions to prevent or treat disease. In the health policy context, microsimulation refers to simulation of an entire population by simulating life histories for individuals within the population. The basic structure of a microsimulation model includes a description of heath states that describe key events in a disease process. Individuals occupy these health states, and the model includes rules describing how individuals transition between states. Models are developed by specifying states and transition rules that result in predictions that reproduce observed or expected results. Model parameters are selected to achieve good prediction through a process of model calibration. Once calibrated, models are used to predict population-level outcomes under different policy scenarios. Model predictions are increasingly being used to provide information to guide health policy decisions. This increased use brings with it the need both for better understanding of microsimulation models by policy researchers and continued improvement in methods for developing and applying microsimulation models. 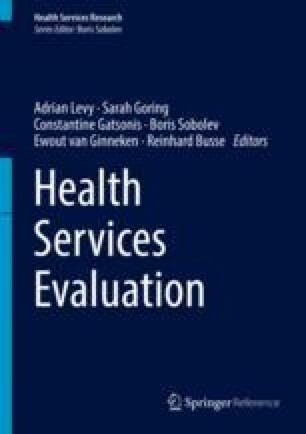 This chapter reviews the process of developing and applying a microsimulation model, drawing from guidelines for best practices for simulation outlined by the International Society for Pharmacoeconomics and Outcomes Research (ISPOR) and The Society for Medical Decision Making (SDM) (Caro et al. 2012). Cancer Incidence – Surveillance, Epidemiology, and End Results (SEER) Registries Research Data [database on the Internet]. National Cancer Institute, Surveillance Systems Branch. 2012. Available from: http://seer.cancer.gov/data/seerstat/nov2011/. CISNET. 2014. Available at: http://cisnet.cancer.gov. Accessed 30 Apr 2014. National Cancer Institute. Cancer Intervention and Surveillance Modeling Network (CISNET). n.d.. Available at: http://cisnet.cancer.gov/. Accessed 2008. National Center for Health Statistics. US Life Tables. 2000.; Available at: www.cdc.gov/nchs/products/pubs/pubd/lftbls/life/1966.htm. Accessed 2013.